Visit the historic mining town of Sawahlunto with Tri Jaya Tour & Travel. Ask us for the possibilities and prices. 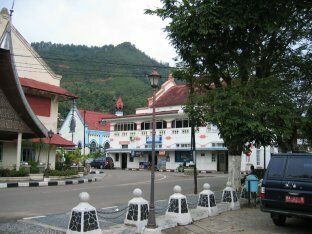 Sawahlunto is a historic mining town in West Sumatra and is known as the black pearl. 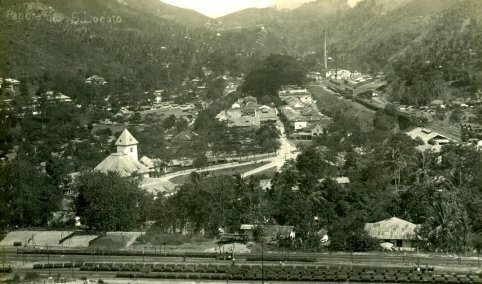 In the middle of the 19th century, coal was discovered here and the Ombilin mines were then built. 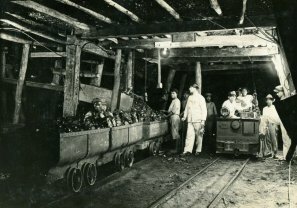 Already in 1894, a power plant was built for which coal was used as fuel. 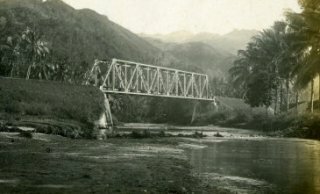 A few years before, in 1889, the construction of a railway was initiated from Padang to Sawahlunto. This was for the transportation of the coal from Sawahlunto to the port Emmahaven (Teluk Bayur) in Padang. 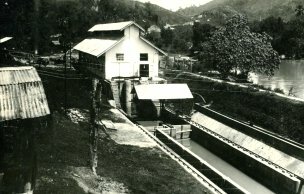 Sawahlunto became a small but important place with public facilities, offices, hotels and shops. Nowadays, the old mining town with beautiful colonial buildings is a tourist attraction. 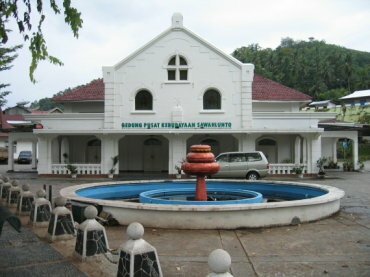 The former club, built in 1910, is now the cultural community building of Sawahlunto.